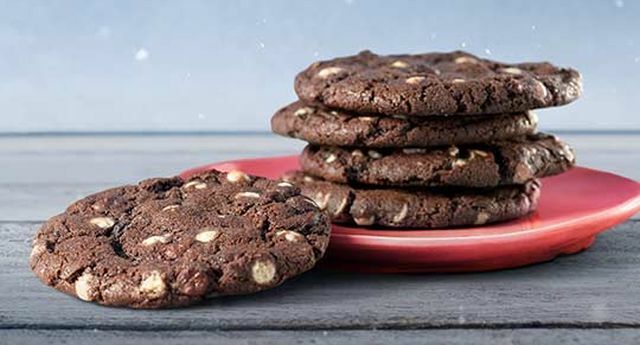 Subway is baking new, limited-time Mint Chocolate Chip Cookies for the 2018 holiday season at participating locations. Similar to the chain's Double Chocolate Chip Cookies, the Mint Chocolate Chip Cookie features a chocolate cookie with a combination of mint-flavored confectionery chips, semi-sweet chocolate chips, and a bit of peppermint extract. Prices vary with location but here in Southern California, Subway's cookies goes for 89 cents each or three for $1.99.